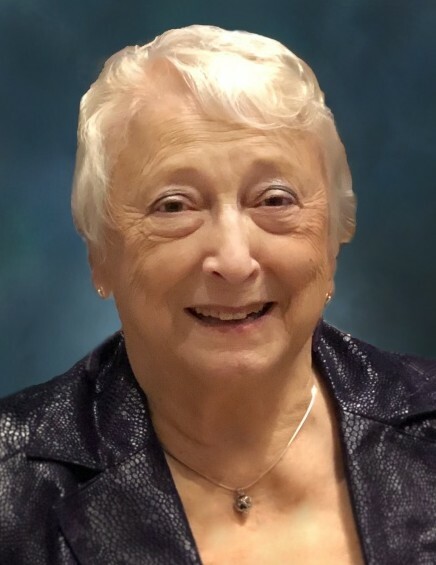 Dr. Peggy Janis Guthrie, devoted wife, loving mother, mother-in-law, grandmother, teacher, Aunt and friend to many, passed away at the age of 81 on Monday, March 25th, 2019 at her home in Chandler, OK.
Peggy was born on November 12, 1937, in Wayne, OK to Arthur Carter Craig and Mabel Perry Craig and was the middle of three sisters. She graduated from Wayne schools and attended East Central University graduating at the age of 20. She continued her studies at UCLA, Oklahoma University, Oklahoma State University, Catholic University, Wet Tissue Seminar in Baltimore, MD, and received 2 National Science Grants. She had a BS in Chemistry, MS in Zoology and a PHD in Epidemiology. In 1958 Peggy began her career as a science teacher at Kerr Jr. High, where she taught 6 and half years. In 1967 she started teaching at the University of Central Oklahoma and retired after 37 years in 2004. She loved teaching, advising students, and the administration as department chairperson. Peggy married the love of her life, Cal F. Guthrie, on August 2, 1959 in Wayne, OK at the Methodist Church. They built their first home in Del City in 1961, their second home in Edmond in 1969 where they raised their 3 sons, and lastly their retirement home in Chandler in 2005 where they enjoyed grandchildren and watching their cattle. She was preceded in death by her parents, Carter and Mabel Craig, and her sister Jo Ann Davis. Survivors include her husband of 59 years, Cal Guthrie, three sons, Gregg Guthrie and wife Nancy of Chandler, Carl Guthrie and wife Rebecca of Noblesville, IN, and Cory Guthrie and wife Julie of Edmond, five grandchildren, Marlee, Carlyn, Morgan, Emylie, and Carter, one sister, Betty Roberts of Lexington, OK, numerous nieces, nephews, family members and friends. Peggy (Speedy) was loved by all who met her and she will be remembered for many things. She was active in DKG and KKI for over 50 years, MacDowell club, Red Hat Society and enjoyed spending time, with all those members and friends. She was an avid reader and advisor. She enjoyed skiing and camping with her boys. She was a very proud grandmother and wanted every available minute with her grandchildren. She always had a hot meal for Cal and a Dr. Pepper for herself. Peggy was “quick” to move from one activity to another while helping someone in between. “Start where you are”, “take what you have”, “do the best you can” LC. Memorial contributions can be made in Peggy’s honor to the Peggy Guthrie Memorial Endowed Scholarship in Biology through the University of Central Oklahoma by following the link: www.bit.ly/2U0xP93. A Celebration of Life will be held at the University of Central Oklahoma in the Heritage Room located in the Nigh University Center on Friday, April 5th at 11:00 a.m. Arrangements are under the direction of Lehman Funeral Home of Wellston.